Wendy Debenham soft Furnishings offers a comprehensive range of services. From beautiful kitchen blinds, sumptuous living room curtains and hard-wearing headboards to conservatory and garden furniture textiles, we are here to help. We offer guidance at every step of the process, from selecting the fabric to fitting the final product, and provide you with the truly unique and special items that you desire, with the quality finish you expect. Each pair of curtains is bespoke, made-to-measure, and entirely customisable. Curtains can be made in any fabric of your choosing, and lined with sateen, blackout or fire-retardant lining. Curtains can also be finished with interlining, for some additional luxury, or self-lined with the same fabric back and front. 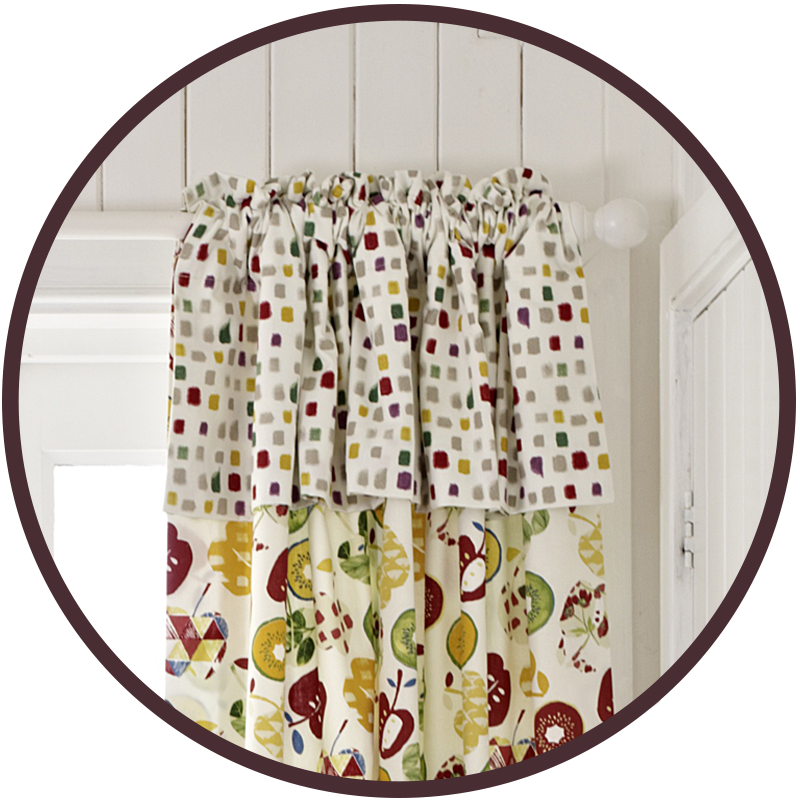 As desired, curtains can be headed with eyelets; triple, double or pencil pleats; goblets; tubes; or rufflettes. Additionally, curtains can be made with coordinating tie-backs and all accessories are available in a range of colours, sizes and styles. Our beautiful roman blinds are all made-to-measure and can be fitted into any room in your home. Choose from an extensive range of fabrics and finishes, to make your blinds truly unique. Blinds can be finished without borders, or with your own choice of between one and four edges bordered. A cascading finish can also be selected, as desired. Large or small, piped or plain, cushions can be made for any room in your home, garden or holiday home. Coordinating scatter cushions, box cushions or seat cushions can be produced in any fabric of your choosing. New cushions can be created and buttoned for well-loved conservatory or garden furniture, and all cushions can be finished with borders, buttons, zips, or frills as desired. Luxurious new bedding sets can also be created in single, double, king or bespoke sizes, for a perfect finish to your bedroom or guest room. With an extensive selection of upholstery fabrics, you will be spoilt for choice when refreshing loved furniture or covering new and bespoke items. Sofas, armchairs, and daybeds can all be covered, as well as folding beds, base valances, headboards and beauty beds. Headboards, pelmets, chair seats and many other items can be upholstered, with a range of finishes. Choose from our beautiful, yet hard-wearing, upholstery fabric collections, and create a very special addition to your home. For information regarding fully upholstered furniture, please do contact us. As well as creating beautiful new curtains, blinds and loose covers, we offer an alterations service. Do you have curtains that are too long or need re-lining? A loose cover that’s a little too loose? Please do give us a call.